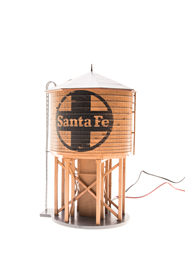 MOTORIZED FILL SPOUT + SOUND EFFECTS! 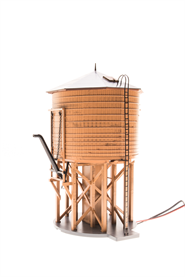 Broadway Limited Imports is proud to once again pioneer sound in HO! 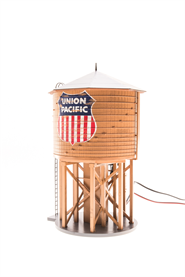 Our all-new Operating Water Tower is a faithful reproduction of the filling stations found on many water stops on Americas railroads. 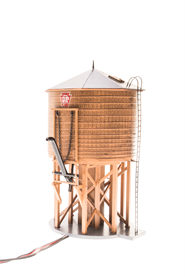 Water was an essential part of steam locomotive operation, so the Water Tower is a prototypically necessary addition to any steam route! 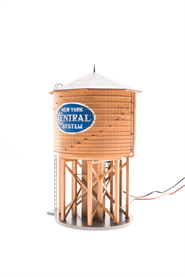 Just attach the Water Tower to any standard 12V DC power supply (or stationary accessory DCC Decoder) and activate the motorized spout & sounds with the push of a button! Push button activated (included). 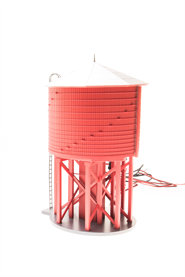 Powered by standard 12V DC power supply or appropriate stationary / accessory DCC decoder such as AUXBOX or Digitrax DS64.